Anthem executive producer Mark Darrah took to Twitter to explain his recent comments about Andromeda’s failure. He admitted that Andromeda was a deeply flawed game but at the same time he believes reviewers were a bit harsh. Word of mouth and many technical issues with Mass Effect Andromeda caused a ripple effect. In fact, the situation got so bad even properly implemented systems were overly scrutinized by the media, he believes. It was a busy release window with Zero Dawn, Nioh, Wildlands and others releasing with better RPG elements. I’m going to regret this in half an hour but let’s talk ‘did MEA get a fair shake’.” He starts by acknowledging that Andromeda was a deeply flawed game, especially at launch. From there, though, he starts explaining some of the external factors that had an impact. The review environment was crowded. Nier, Nioh, Horizon, and Zelda all launched in MEAs window. Each does something better than MEA (again, a flawed game). As a result, even systems that are pretty decent get scrutinized against superiorly implemented ones. Does launching in a different window turn 72% into 90? Certainly not. 72 into 77/78? Maybe. His comments on GameInformer sparked a heated debate over the last two days so a clarification was required. It is a fact EA’s Mass Effect Andromeda did some things right; such as its fluid combat system and amazing visual quality, textures etc. However, the game’s horrendous facial animations, performance issues, and other factors led to EA abandoning the game. Anthem is the next major RPG from BioWare and already many concerns are making rounds on the internet. BioWare is once again being forced to use the Frostbite Engine which is in no way suited for an open world RPG game. Tweaking and tuning it for Anthem is alone putting the title at risk of major post-release issues. After the failure of Andromeda, stakes are high for all BioWare employees. It is their first original IP in eight years and developing a persistent online experience like Anthem is a daunting task, it has been since 2012. 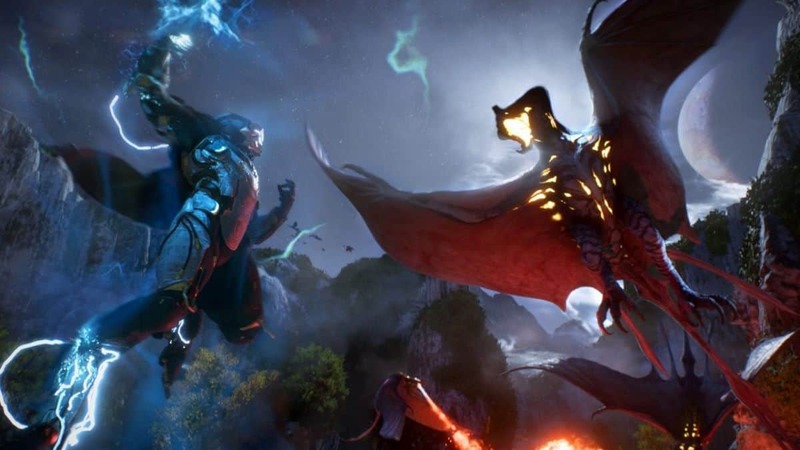 BioWare Will Use Anthem’s Codebase For Dragon Age 4?